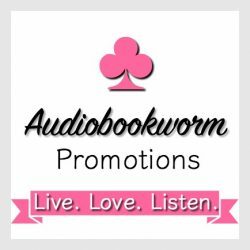 ← Audiobook Review: DRAGON KNIGHT’S RING ~ Adam begins his own quest to reunite with his Meggie! This one is a show stopper! Determined not to become anyone’s mistress, Britannia keeps the duke at arm’s-length while she sets to uncovering the mystery of her parentage. With only a miniature painting and a monogrammed handkerchief, her inquiries lead to a series of escalating accidents and threats. Here are two people who immediately you take to heart their plights – Duke of Ravenscar and Britannia LeClair. Duke of Ravenscar has put all on the line for a wager. (obviously dukes have way too much money and little brains – hey, just saying!) Drake has wagered it all. If his venture of opening a new theater, bearing his family name, The Chadwick Theatre, appointed with the most elegant of surroundings and cost him more than he could afford, fails, the man is doomed. But it was a done deal. He chose the most prestigious and sought after ballerina in France, one Mademoiselle Taglioni. He had it in his pocket! But when the ballerina wasn’t among those who were shepherded to his theatre, and found her understudy sent in her stead, he was on the verge of an apoplexy. Britannia, the understudy, had been sick for the last two days as the ship crossed the Channel. Weak and exhausted, she had to prove her worth, no less in her bedraggled clothing. Her future as a ballerina was at stake. If the duke sent them back to France, she would no longer be welcome on stage. I was caught up with the emotion swirling around these two characters. They both had so much to lose. To make the story even more intriguing, Britannia didn’t know who her parents were, a fondling with a few clues to her identity. The author adds another layer of worry for Britannia. She had been very nearly injured in several ‘accidents’. As all this unfolds, so does the duke’s heart. He justifies all his actions when it comes to Britannia. For all his blustering anger at the beginning of the story, he becomes a besotted doting man by the end. I appreciated Jarecki’s research about ballerinas of that time. Although our heroine is fictitious, Mademoiselle Taglioni was very real. Toe dancing was just coming into vogue and shorter costumes kept inching up, which very nearly does in the English noblewoman and has the gentlemen wishing they could see more! Unfortunately, a passionate dancer like Britannia, also gained a certain poor reputation whether deserved or not. Jarecki always writes a richly entertaining tale, layered with intrigue, broken hearts and happy ever afters. This one is no different. 1 Response to Review: THE DUKE’S FALLEN ANGEL by Amy Jarecki. This series promises to be sizzling! I pre-ordered this title. Can hardly wait to read it.